A professional face paint in a conveniant pot that screws together Wash off with soap and water. Pack of 12 sponges. Ideal for large areas or can be cut in half for more intricate work. 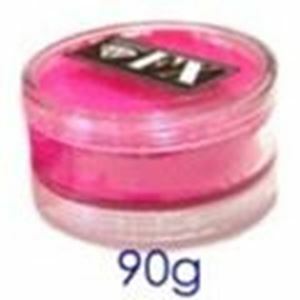 Ideal to swirl on the face or arm with a damp sponge or brush as a base for pretty flowers etc. These water based cakes give superb coverage with a high concentration of pigment. They are easy to use and are excellent for line work, as well as sponging. The colours can be painted over any colour - even white on black, whilst still giving brightness and clarity. The make-up will last all day without cracking or fading. It has no perfume and has been approved by both the EU and the FDA institutions. Use a small quantity of water with a brush or sponge. The make-up is designed to go further with less water. Stipple colours evenly to give a smoother blend. Do not add more water to the sponge to do subtle tones and do not leave the brushes or sponges in the cake. Wash all sponges and brushes when finished. Cracks may form in cakes but these are not detrimental to the make-up.